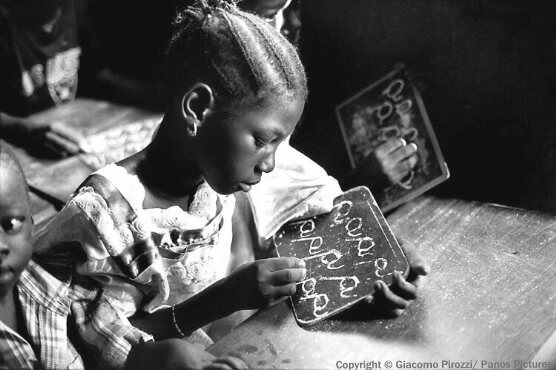 This child learns to read and write and to respect herself. 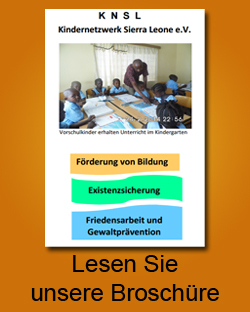 Schule fuer Afrika is a project of German charity Kindernetzwerk Sierra Leone. 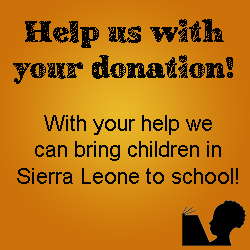 We help poor families in Sierra Leone so that their kids can attend school. Please, support our project Schule fuer Afrika and give these children a chance for a brighter future.